In the event of a rollover accident, drivers and passengers inside a vehicle may suffer serious injuries or death if the vehicle’s roof collapses. If the structures supporting the vehicle’s roof (known as roof pillars) give way during the accident or if the roof is crushed as the vehicle rolls over, persons inside the vehicle may suffer serious harm. Persons who have been hurt because of a roof crush or roof collapse during a rollover accident may be forced to deal with lasting pain, long-term disabilities, and medical expenses. Such accidents may be caused by faulty vehicle design, improper materials, and failure to properly test the stability of roof pillars. If you or someone you love has been hurt because of a crushed roof or a roof collapse, contact the SUV roof crush lawyers of the Willis Law Firm at 800-883-9858 today. 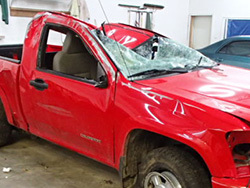 It is essential that vehicle manufacturers properly design, test, and build roofs and roof support systems that are able to withstand rollover accidents and are able to protect a vehicle’s occupants. If a vehicle’s safety restraints fail to operate in the intended manner, the persons inside the vehicle may be seriously injured if a rollover accident occurs. Rollover accidents can be devastating events, especially if the roof collapses or is crushed. If you or someone you love has been hurt in a serious rollover accident, you may be eligible to pursue legal action for pain, suffering, and medical expenses. Contact an experienced SUV roof collapse lawyer of the Willis Law Firm at 800-883-9858 to discuss your legal options today.